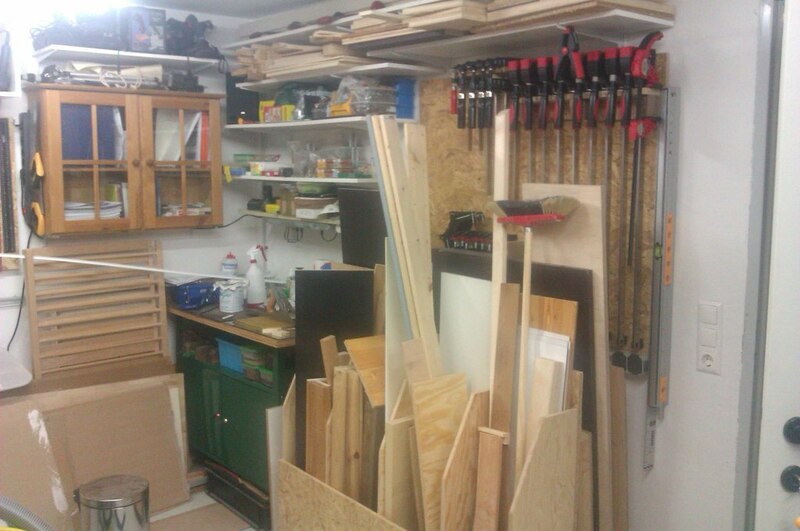 Last year I began to redesign my workshop, because I started to get a bit more into woodworking and the 23 sqaremeter are quite small, so I had to think it through. 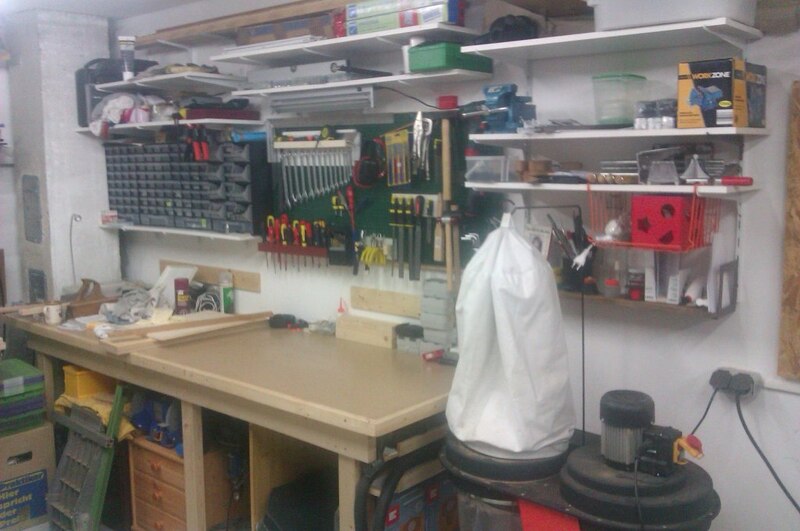 My wife then told me to move the electronics bench to another room in the basement, so I got more room for metal and woodworking. 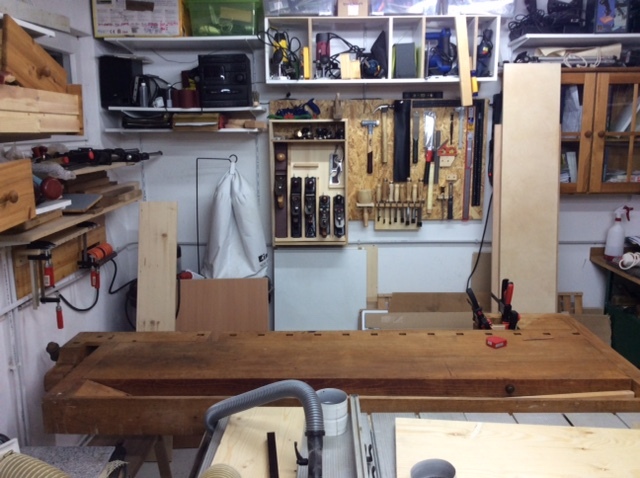 The left side will be used for metal work and regular other tasks on the long workbench. 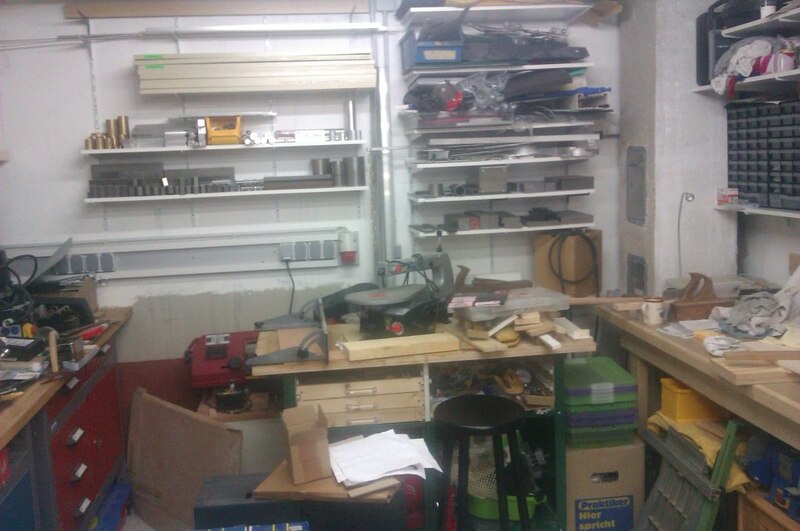 On the right side is the woodworking side. 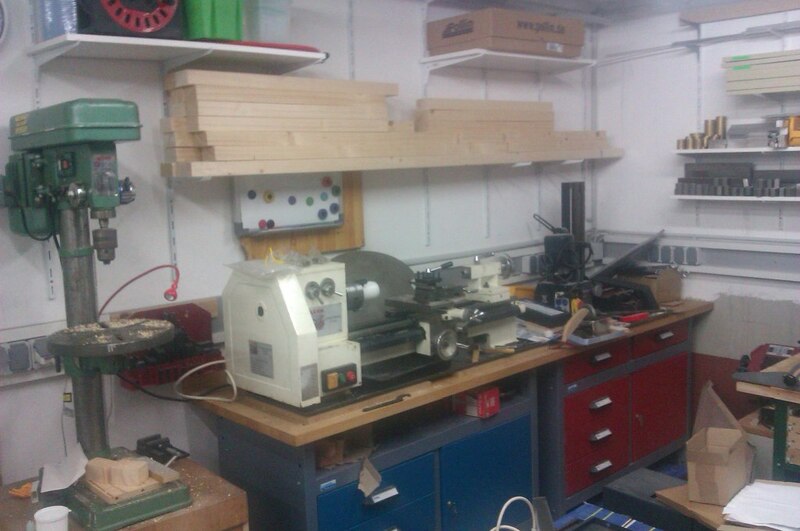 Woodworking side with the tablesaw right in the center. 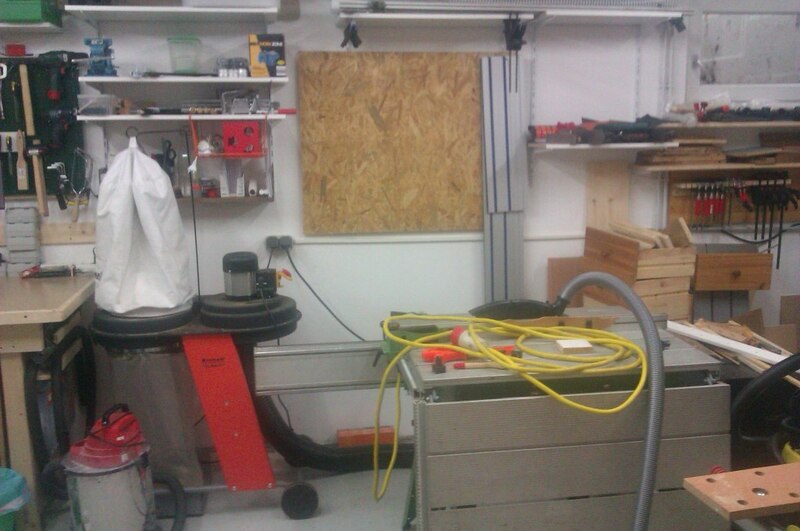 The dust collector has been moved to the rightside wall and in it's place there's a bandsaw now. 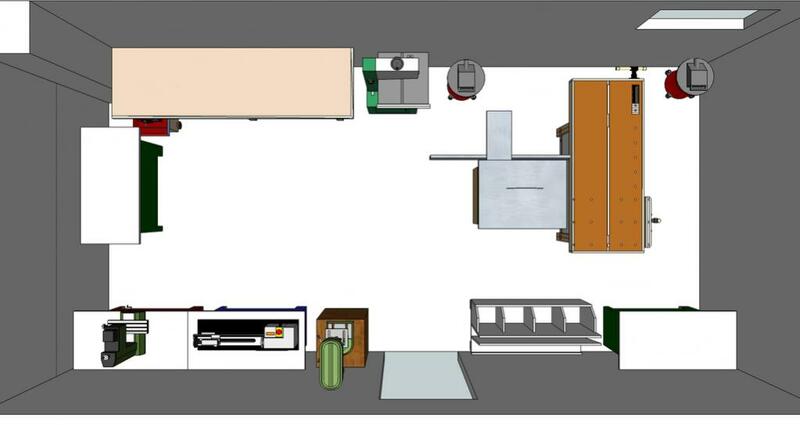 I had the plan to build a Roubostyle woodworkbench by myself, but got this woodworkbench for a _REALLY_ nice price, I just couldn't say no.